Hannah Cornelius was an exceptional and talented young woman who grew up with the opportunity and means to realize her dreams. Her life was tragically cut short when four men kidnapped, raped and murdered her on 27th May 2017. Immediately, her mother Anna, chose to create a legacy for her daughter to ensure that Hannah’s warm, compassionate and caring heart would reach all those in need of her love and support. Anna worked tirelessly to set up the Foundation, drawing those in need closer and holding the hands of those had gone through similar experiences. Through Anna’s efforts, the Hannah Cornelius Foundation was born and began its counselling and support programmes in the informal settlements of Ocean View, Masi and Redhill in the Western Cape. In just a few short months, the Foundation had partnered with Non-Profits in the Victim Empowerment, Child Protection and Youth Development sectors to offer holistic, family centered, child and youth focused counselling and referral services. Anna was a force of nature and the love for her daughter ensured that the bricks in the road to building Hannah’s legacy were laid down in the community she loved. In March 2018, Anna passed away suddenly. Anna was wrapped in the legacy she had built for her daughter and her dream and vision will continue growing from strength to strength. The story of these two remarkable women have touched so many lives already. We hope that you will join us in creating a soft place for others suffering to land, take root and grow. 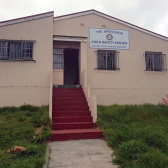 Our main project is the establishment of a Community Centre in Ocean View which serves as a resource and support hub for the community by the community. We are committed to partnering with other community based organisations such as Valley Development Projects and Community Cohesion, to renovate, equip and operationalise this centre and its services. The Hannah Cornelius Foundation relies on support from donations and the generosity of the public. Donations can be made in any currency with Mastercard or Visa or in Bitcoin. Zapper, Masterpass, Instant EFT. Just follow the instructions for ZAR to get to the payment options. © Hannah Cornelius Foundation · 2018 · All rights reserved.